Economical theories should at least contribute to the understanding of incentives. If you want to delve deeper into the topic, If Homo Economicus Could Choose His Own Utility Function, Would He Want One with a Conscience? is a seminal paper. Then, you can take a look at some of Bob Frank's other publications. Among them, I would recommend Passions Within Reason and Winner Take All Society. The aspects of incentives which you are interested in are studied by psychologists as well. I recommend Carol Dweck's work. One of her popular books is Mindset. You could check out any of Dan Ariely's books. 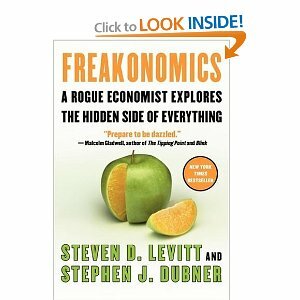 Those are generally good at providing a similar to Freakonomics-level handling of a variety of economic topics, especially behavioral ones. Not the answer you're looking for? Browse other questions tagged reference-request io-psychology motivation economics or ask your own question. Is “Biophysics of Computation” still a good book?